Ram is a Principal Architect with over 15 years of experience in SAP Consulting, Architecture and Custom Development. He is key member of SAP Transformation Center of Excellence at Infosys which primarily focuses on new products and technologies and their customer adoption. Ram specializes in Suite on HANA (SoH) and S/4HANA adoption. He helps customers in developing roadmap for their S/4HANA adoption and also with the actual execution of roadmap. Ram is additionally responsible for developing and deploying Infosys proprietary tools like ‘HANA CMO’ and ‘S/4 Assist’ which accelerate SOH, S/4HANA adoption. Raminder Braich has been working in the SAP space for over 20 years. 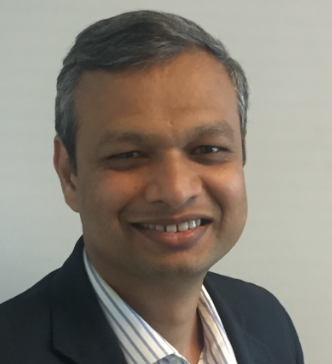 He is responsible for driving the global SAP upgrades, including migration to HANA database, agenda and providing technical governance at PepsiCo. Prior to joining PepsiCo in 2010, he spent 5 years with SAP as Senior Basis consultant. He has led various teams in implementing various SAP products at companies such as Maxim Semiconductor, Sunoco and PepsiCo. Dion DiCristofaro is a North America Finance Leader who helps organizations transform their operations with SAP's leading edge technology S/4HANA and S/4HANA Finance. His key focus is on Financial Applications, Enterprise Performance Management and S/4HANA. Dion has worked at SAP for 10 years and has been in the SAP space for over 21,with a variety of roles including development, production support, pre-sales and consulting. Dion lived in Allen, Texas with his wife Dana and 2 children. Jeff is VP and Executive Editor for the Infosys Knowledge Institute, the research and thought leadership arm of Infosys, a $12B technology and consulting firm. Formerly, he was also a consulting partner with Infosys Consulting, serving manufacturing and high-tech clients. Jeff is also an adjunct professor at the Graduate School of Business of the University of Texas at Dallas. He is the author of the best-selling book Consulting Essentials. Jeff holds a BS in Electrical Engineering from Rose-Hulman Institute of Technology, as well as an MBA from the University of North Texas. He also serves on boards of the Institute of Business Analytics at Indiana University and the Marketing Analytics Advisory Board at the University of Texas at Dallas. 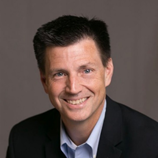 Leads the Manufacturing SAP practice including growing talent, establishing consulting business and overseeing program execution activities in our key business offerings. Led process transformation programs within finance, supply chain, manufacturing, aftermarket and warranty areas for OEM, Suppliers, and Aftermarket organizations. Published multiple white papers within the User Group communities for both SAP and Oracle, as well as presented on topic business and technical topics. 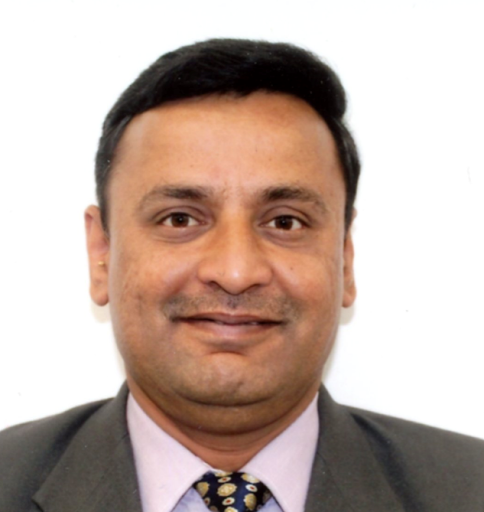 Hemant has 25 years of Consulting experience in Finance and SAP. He has performed 8 large scale SAP Business Transformation programs across US, Europe and APAC. He leads the SAP Transformation Center of Excellence globally at Infosys which focuses on helping enterprises shape their digital transformation journey enabled by S/4HANA and other SAP innovations. He has lead several initiatives in his 18 years of Infosys career and performed various roles in leadership and consulting streams. He advises clients on defining their future state SAP architecture leveraging digital core of SAP S/4 HANA, various solution roadmap options, defining business case to move to S/4HANA, and also acts as chief advisor/ delivery partner in several ongoing S/4HANA programs at Infosys. Ramesh has over 22 years of experience and focuses on SAP S/4 HANA led business transformations. He has helped multiple multi-national corporations to realize the value proposition and benefits of SAP S/4 HANA and has also executed business case development programs for them. His experience lies in quantifying the business benefits arising from process and system level improvements, definition of detailed cost estimates for the transformation and ROI of the exercise. Ramesh has been an architect of the Digital Business Case solution.